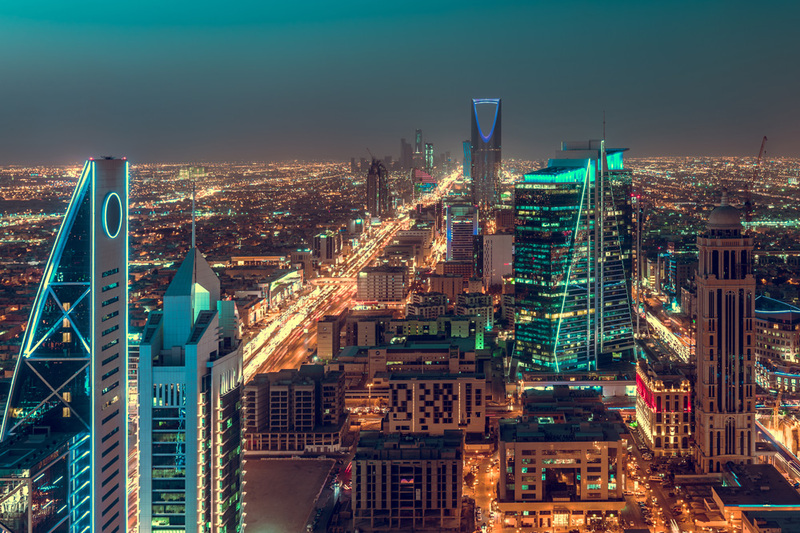 Riyadh is Saudi Arabia’s political, financial and administrative capital. Along with being one of the wealthiest cities in the world, Riyadh holds both Saudi’s cultural sentiments and futuristic modern aesthetics. The capital is home to some incredibly stunning architecture and landmarks, and if you’ve got a couple of days to spare, Riyadh could be the most perfect city break. 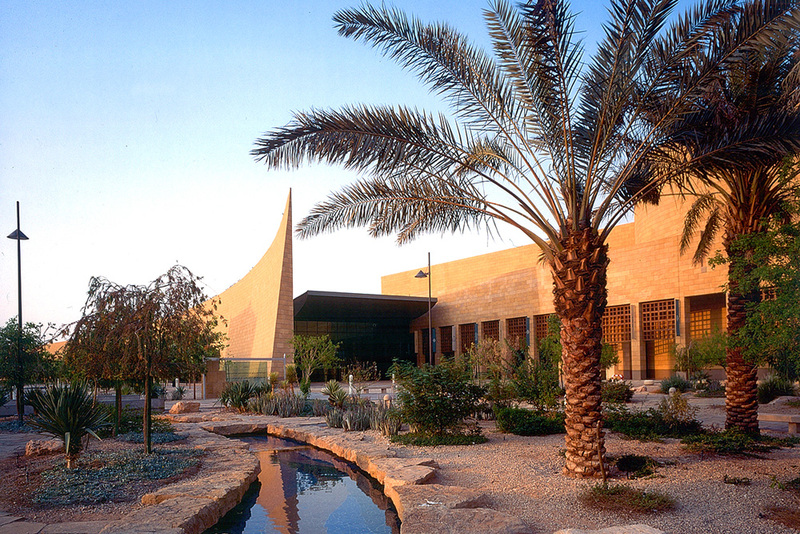 The King Abdullah Petroleum Studies and Research Center Mosque isn’t your conventional one. 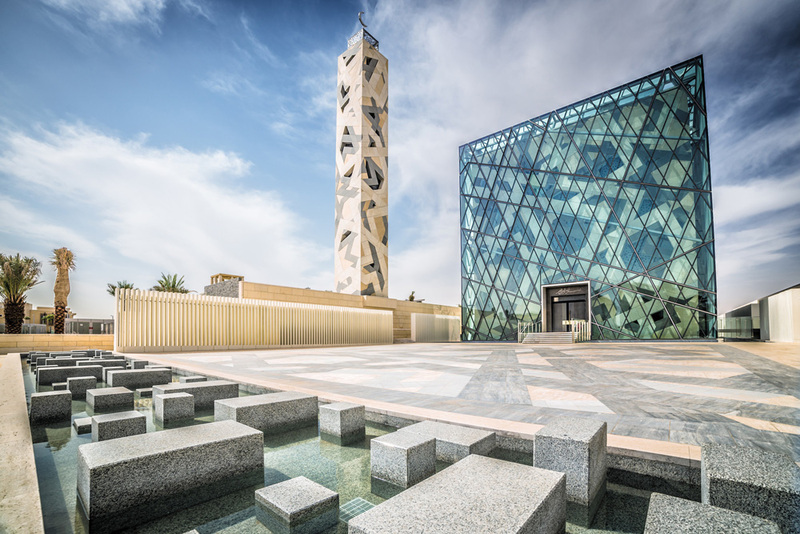 Not only is this place of worship modern and extremely striking, it was designed to be sustainable and sets a great example for approximately 4000 other mosques in the city due to its energy efficient design. With its Murano glass chandeliers, terrazzo patterned floor tiles, bespoke leather chairs and glossy oak tables, Cipriani Riyadh is located in the capital’s most prestigious districts, offering up its signature Italian cuisine. 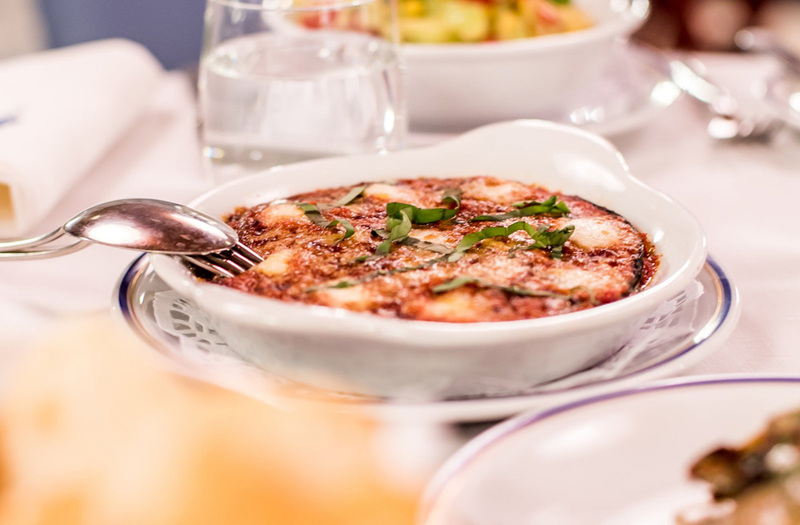 It’s currently the place to be seen on Riyadh’s restaurant scene. A visit to Saudi Arabia wouldn’t be complete without learning about its heritage and history, and what better place for some culture digest than the National Museum of Saudi Arabia? You will find a plethora of fascinating historical artefacts that will leave you amazed. Yes Saudi Arabia is often seen as being a vast expanse of desert – but truth be told, there is much more to its landscapes than just sand! 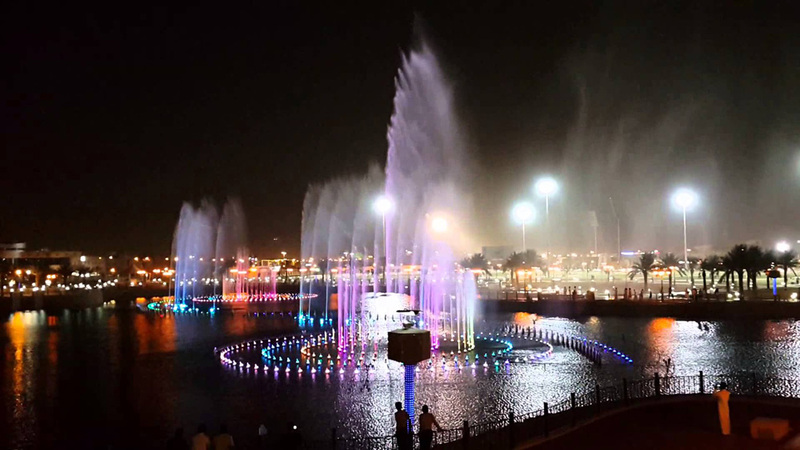 King Abdullah Park in Riyadh is a relaxing way to spend an early evening, pre dinner. The green space is home to huge date trees, a lake, and a dancing light show at the water fountains which takes place at 6:15pm each evening. Keep your cameras ready for some Instaworthy snaps! Riyadh boasts of numerous fine dining spots and there is most certainly a market for it. One way to wind down your visit would be to book a table at The Globe Lounge located inside the Al Faisaliyah Centre skyscraper (also has a mall inside). 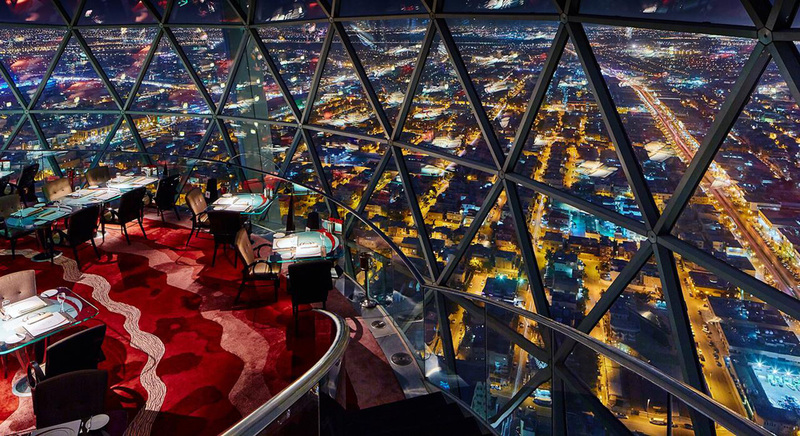 Delve in the stunning view of the Saudi capital, while you dine on exquisite cuisine.